Avoid letting hot leads go cool with automatic follow up reminders. 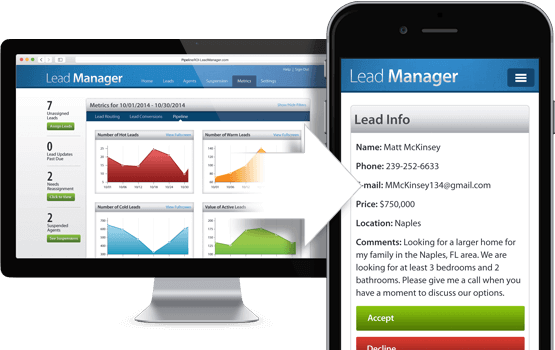 Each morning you’ll receive an e-mail report with all the leads you need to follow up with that day. And if you’re viewing your report on your phone, just tap each contact to make the call. It couldn’t be simpler. Every lead gets nurtured with information that’s specifically tailored to their needs. Buyers get targeted listings. 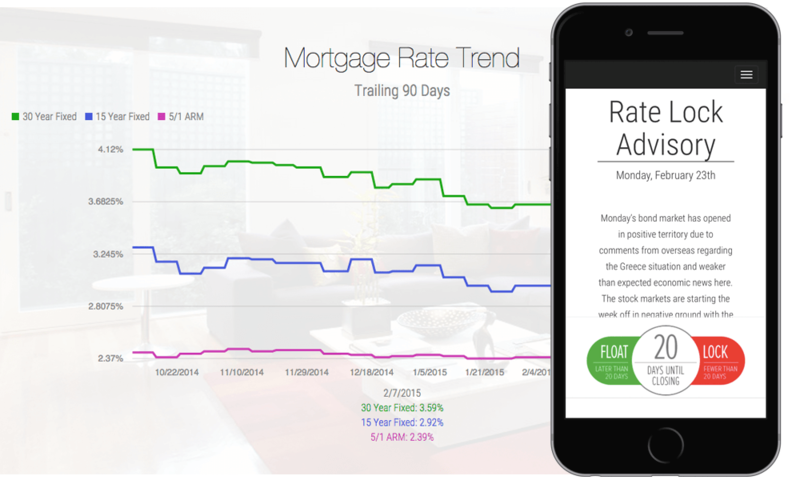 Sellers get home price updates. 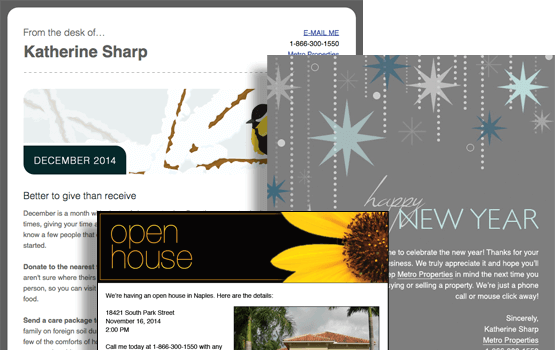 Past clients get newsletters and referral business reminders. They all work together to keep your pipeline constantly flowing with business. Mortgage float and lock advice can be a big decision driver for potential buyers. Wouldn’t it be great if your site was the best place to get that information? Leads can sign up to receive a daily or weekly rate advice direct to their inbox, where they’ll be linked to the Daily Rate Lock Advisory page on your site to receive a full up-to-date report. 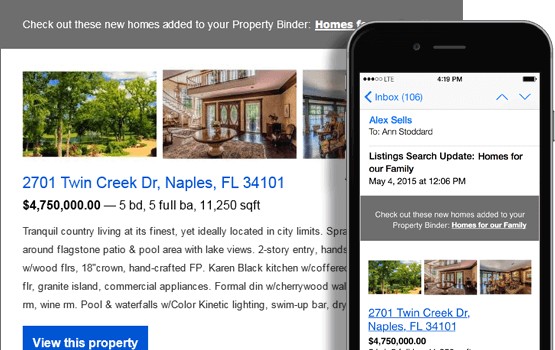 Potential clients can save searches on any Pipeline ROI website, and receive an e-mail any time a property is added or updated. Stay top of mind and ensure your buyers are the first to know when a new property of interest becomes available.